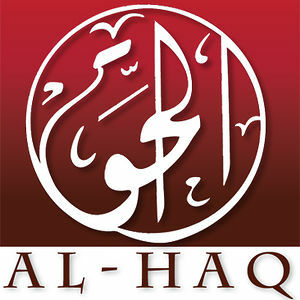 Al-Haq, association palestinienne de défense des droits de l’Homme, dresse une analyse critique de la couverture médiatique de l’actuelle offensive militaire israélienne sur la bande de Gaza. Déplorant un manque de remise en contexte des évènements et une tentative de légitimation des violations israéliennes du droit international, Al-Haq déconstruit point par point les idées trop sont relayées sur la « légitime défense » d’Israël, le « roof knocking » (avertir les habitants avant de les bombarder), la « nécessité militaire ». Al-Haq rappelle les responsabilités d’Israël en tant que puissante occupante et le contexte qui est celui de l’occupation israélienne de la Palestine depuis 47 ans. 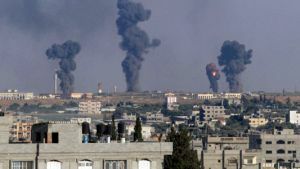 On 8 July Israel launched “Operation Protective Edge” in the Gaza Strip followed, on 17 July, by an ongoing ground invasion. Reminiscent of “Operation Cast Lead” in December 2008 to January 2009 and “Operation Pillar of Defense” in November 2012, there have been violations of international law committed both by Israel and Palestinian resistance groups. Yet, as with previous operations, the framing of “Operation Protective Edge” by both the media and world leaders has not only distanced this latest round of hostilities from the wider context of Israel’s 47 year-old occupation of the Palestinian territory – namely the West Bank, including East Jerusalem, and the Gaza Strip - but has also framed the discourse in a manner that largely legitimises Israel’s violations of international law. While the attacking party to the conflict is obliged to take precautionary measures before carrying out attacks in order to spare civilians and civilian objects, this by no means negates the primary obligation not to make civilians and civilian objects the target of attack. In cases in which a building is civilian in nature, Israel’s policy of “knock-on-the-roof” warnings – a procedure in which it fires a small missile at the roof of a building to warn its occupants that a fully armed larger missile attack is imminent - does not transform that building or its occupants into legitimate military targets. Telephone calls, SMS messages and leaflets warning civilians of an imminent attack similarly cannot be considered to alter the individuals’ civilian character nor imply that civilian casualties resulting from such attacks are to be considered ‘human shields’. In addition, when providing warnings, attacking parties to the conflict must ensure that such warnings are meaningful in that they indicate where civilians can take shelter and how much time they have to evacuate the premises. Without such information the warning is rendered ineffective. Furthermore, Israel’s “knock-on-the-roof” policy in itself has caused damage to civilian property, has injured and killed civilians and generates fear among the civilian population. In this regard, it should be emphasised that in all circumstances it is the attacking party that must to do everything possible to verify that the objective is indeed military and not civilian. In case of any doubt as to the identity of the object or persons, they must be assumed to be civilians ; hence the attack must be aborted.